20, 21, 22. What do you associate with “Australia”? 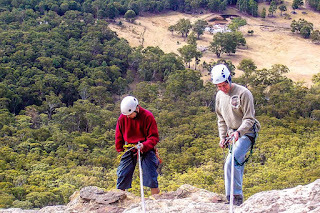 Some of the most vivid memories we have of Australia (not just Sydney, but all our visits over the years) are the multitude of outdoor activities: Rock-climbing, bush-walking, diving in the reefs etc. 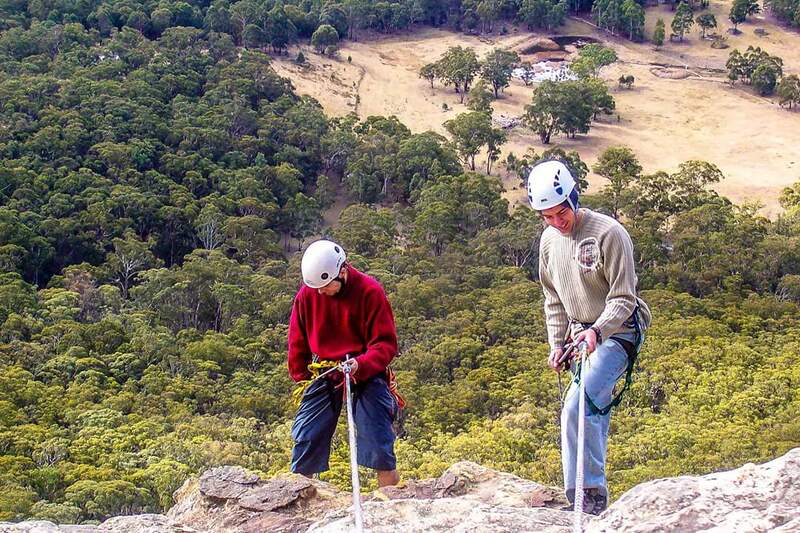 On this particular visit, one of our most fun activities were visiting the Australian Mountain Forest and trying out abseiling. 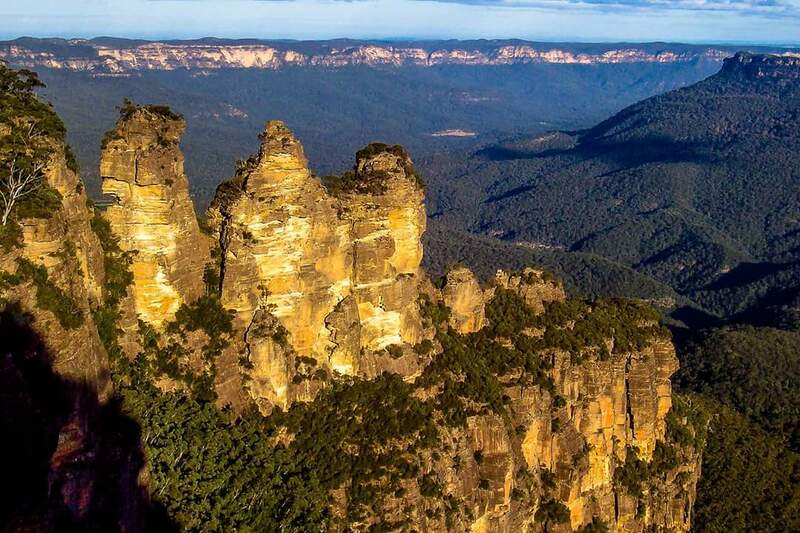 On day 22 of our “Around-the-World-in-50-days” voyage, one of Vedran’s cousins invited us to a training site in the Blue Mountains, to let us experience both the Australian mountain forest as well as some exciting physical activities. 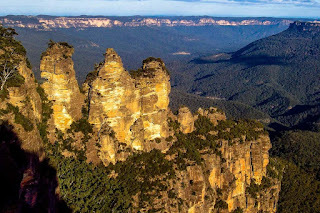 Off we went to Katoomba and the Blue Mountains, where we met up with two guys studying “Outdoor Recreation”, which involves outdoor activities studies including practical experiences like rock-climbing, cross-country skiing, and related safety. They were still students and offered to be our guides in the mountains. 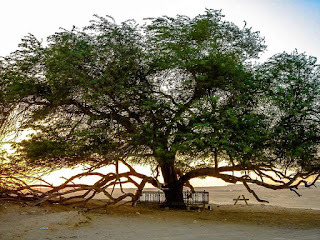 In return, they would get a chance to practice their outdoor learnings and leadership skills on us. Pretty good deal! One of our newfound friends, Saska, also join us for the three-day excursion. During the first day we drove up to Katoomba, and went on a mountain forest trek. It reminded us a bit of a tropical forest. Fantastic nature, very beautiful colours, except that it was seriously cold. Even though an Australian winter is about the same temperature as a cold Swedish summer, it felt much colder. We were not at all prepared for the paralyzing cold. We had been told to bring cloths suited for 10-20C, but we are absolutely certain that it was closer to 0C. There was frost in several places and we were aching in our limbs from the cold. By the end of the day, we could hardly move, but we still enjoyed ourselves very much. The student-guides were very professional and pleasant to hang around with. The next day, our talented guides took us on an Abseiling adventure, which is basically climbing down a vertical mountain with a rope. Neither one of us had ever done this, so we were very excited. Well, at least Dilek was. She is the adventurer in the family, whereas Vedran actually has a slight problem with heights. We made it down the mountain several times (climbing up the steps in between descents), and one of those times Vedran descended with only one hand as he was holding a camera. Back then, dear friend, cameras were bigger and heavier so you can imagine the hassle. We had so much fun, and will never forget this adventure. There is nothing more we can say about Abseiling, as it is something that has to be experienced… Much like the world itself. Before departing for home on the third day, we drove by “the three sisters”, which we were told was known as Australia’s Grand Canyon. 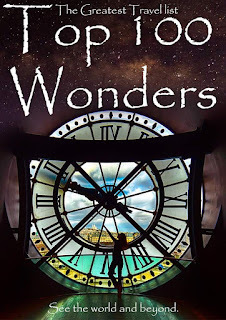 At one point there were apparently seven sisters, but they had collapsed over the years. 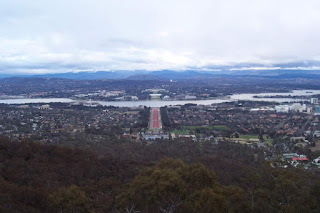 The view was very nice, and we felt that we had experienced another side of Australia that perhaps we would not have had the chance to see if not for Vedran’s cousin and his friends. Very grateful for that. Do you have relatives you have never met? What about relatives you did not even know existed? That was the case with Dilek and her second cousin, who… Surprise! 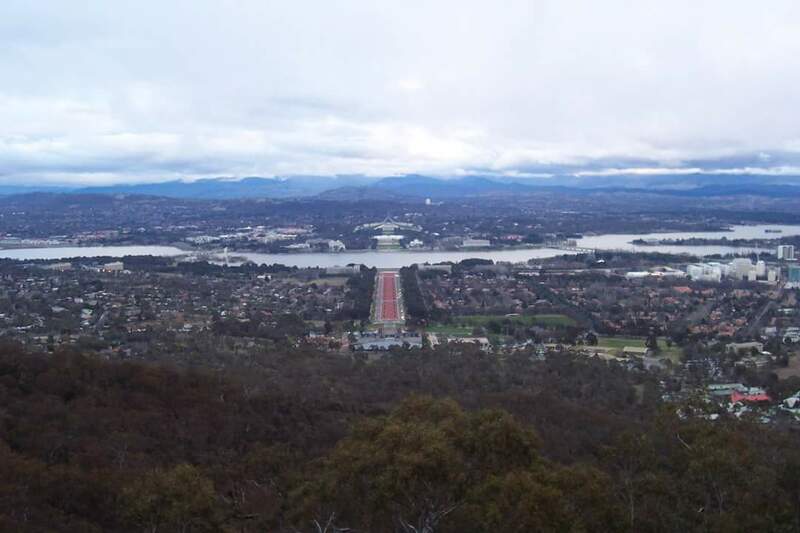 Surprise!...lived in Canberra.